Half of all first-round draft picks fail in the NFL. Brian Decker believes he can improve that rate, but it's not clear anyone in the league is listening. THE TRUCKS ARRIVED in waves, blood streaming from their beds. Inside, American soldiers were piled on one another, 25 or so in all. It was May 2004, at the Marine base in Ramadi, Iraq. An enemy mortar had landed, and word spread of a mass casualty. U.S. Army Special Forces team leader Brian Decker, then 32, hurried to the medical station where the trucks pulled up with the dead and wounded. All told, six Americans died. Later, Decker couldn't sleep, feeling the loss of those lives as if they were family. In another three nights came word that insurgents were crossing from Saudi Arabia into Iraq. Decker's Special Forces team hopped into a CH-46 with orders to "clear the target." Ramps descended from the helicopter, and the team opened fire on tents and trucks. To Decker, it felt like justice, revenge. Even now, Decker's eyes well up, his face reddens, his hands shake as he relives this memory and recalls the code soldiers live by: "You're fighting based on the obligation to the person next to you. You're depending on each other for survival." After Decker retired from the Army, that idea became more than a code. It became an obsession, something he wanted to dissect, quantify, predict and use to maximum effect elsewhere -- perhaps even in the world of professional football. TWELVE YEARS LATER, this past February, retired Lt. Col. Brian Decker sat next to Bill Belichick in the stands at Lucas Oil Stadium in Indianapolis watching the NFL combine. The NFL, of course, aligns itself with the military as if compelled by civic -- even moral -- cause. But that romanticized vision always falls short, stark in its superficiality. Yet there was Decker, pleading a case to the game's greatest coach that the connection wasn't superficial at all, that in fact the greatest soldiers and the greatest football players share innate qualities -- the clichéd intangibles. Beyond that, he could discern those elusive qualities. Was he out of his mind? Or onto something? Decker was largely unknown around the NFL, but he had credentials to back up his claim. He'd successfully reinvented the process for picking Green Berets and spent two years with the Cleveland Browns applying the same basic principles to crack the NFL character code, which teams have long tried -- and failed -- to master. If he was right, his methodology could change the way teams considered prospects. All he needed was a second chance. What looked from afar like casual conversation between Belichick and Decker was actually a job interview of sorts, arranged by Michael Lombardi, a longtime NFL personnel employee who at that moment was an assistant to the Patriots' coaching staff. The pitch lasted almost five hours, and when it was finished, Belichick invited Decker to Foxborough for two days of talks. Before they parted in Indy, Decker asked Belichick what player trait he struggled most to predict. Belichick's answer was as blunt as it was revealing about realities in the NFL. Here was a head coach with four Super Bowl rings, with a quarterback who plays for less than market value, who has created an entire methodology based on common sacrifice and submission of ego -- a coach with more leverage than any other in the NFL -- telling Decker he had trouble finding players willing to buy in. DECKER IS NOT a "football guy," as football guys say, but he is an exceptional one. He's 44, but in the right light he passes for 24. He's compact and lean, with sandy brown hair. He grew up in a military family in the sticks of Kentucky. In school, he was always picking fights. He played one year of football, as a 120-pound cornerback. His grades weren't good enough to qualify for the University of Kentucky. He enrolled in Army basic training, where he found his calling. He says he finished first out of more than 300 at ROTC summer camp, starting a run of success over several years. He was a top performer in Special Forces training, and he served tours in Iraq as a team leader and intelligence developer. No soldiers on his teams were ever killed, nor even injured. In 2011, Decker was picked to run the Special Forces Assessment and Selection program in North Carolina, a job analogous to NFL general manager. He found a program outdated since its creation in 1988, focused on the wrong standards and outcomes. The training was brutal, 18 hours a day of lifting logs, hiking through forests alone at night, wading through snake-infested rivers. If you were still standing after nearly three weeks, you would likely advance to the next level of the three-year program. It was a test that Decker had passed with honors nearly a decade before, finishing without a heel in one of his boots due to blisters as big and red and soft as plums. But the program wasn't working. An internal study showed that fewer than a third of soldiers selected possessed the rare mix of decisiveness in chaos and genuine devotion to teamwork. Decker wanted soldiers who weren't satisfied just to become Green Berets but who wanted to be great Green Berets. He set out to find data-driven models for identifying those soldiers. Decker wanted to focus on intrinsic, rather than extrinsic, motivation. He read books about emotional intelligence and talent measurement and studied the characteristics of introverts versus extroverts, and of fluid IQ, the ability to recognize and adjust to patterns on the fly. He changed the training courses to more closely resemble modern warfare. He began to approach Special Forces candidates as if he were a therapist, not an officer. "Brian was the first one to open our eyes and question the way we'd done things for 20 years," says Col. Glenn Thomas, Decker's boss. "We had never asked, 'Why is this class better than that class?'" After three years, Decker had devised a program that collected 1,200 data points on each candidate, from peak physical performance to psychometrics, the science of measuring mental processes. He could effectively predict the profile of a Green Beret: college-educated with an IQ around 122, in his early 30s, probably from a suburb of a major city, someone who responded to trauma in his life with increased self-motivation. As a result, the washout rate of Special Forces was 30 percent lower than when he took over. "We can train a guy to do a few extra pullups, but we can't make someone adaptable and able to work as part of a team if the traits aren't there," says Thomas, sounding not just like a decorated colonel but like, well, a football coach. JOE BANNER, the CEO of the Browns in 2012 and 2013, also wasn't a football guy, having come into the league with an economics degree and experience in business. He liked to think outside the box. For 15 years in the NFL, he'd tried to confront a confounding question: Why do 50 percent of all first-round draft picks fail? In his previous job as president of the Philadelphia Eagles, he commissioned a study revealing that teams rarely misevaluated raw talent. Scouts did their jobs well, in other words. Picks were failing because of something subtler and harder to grasp, much less predict: mental makeup. Banner saw an opportunity in simple math. If he could determine which half of potential first-round picks were up to the rigors of the NFL and then winnow the list to 10 or so prospects the Browns wanted, he could increase his odds of scoring an impact player from 50 percent to, say, 80 percent. 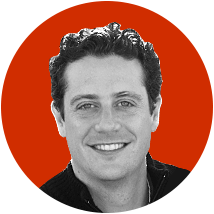 "A huge competitive advantage," he says. In 2013, Banner had decided to tackle football character once and for all. He wanted people who knew players dating back to high school for before-and-after comparisons of their character, so he hired a recruiting coordinator and campus host from a pair of SEC schools. And he wanted a verifiable method to determine which character traits held the most predictive value. That year at training camp, Banner met Decker. He was there as a guest of Lombardi, then the Browns' GM, and head coach Rob Chudzinski, who had both gone to Special Forces camp a few months earlier in search of training tips. Decker described to Banner his methodology for picking soldiers. Banner immediately saw connections between the military and football. Special Forces teams operate much like an offensive or defensive unit: There are blocking-and-tackling activities, isolation of matchups based on analysis and game planning, and execution that draws on reservoirs of intangibles. Most of all, both pursuits rely on mutual ambition and sacrifice. "He could pick out, within a group of top achievers, who could really take the next step," Banner says now. "His techniques and studies were amazing." Banner set the wheels in motion to hire Decker. 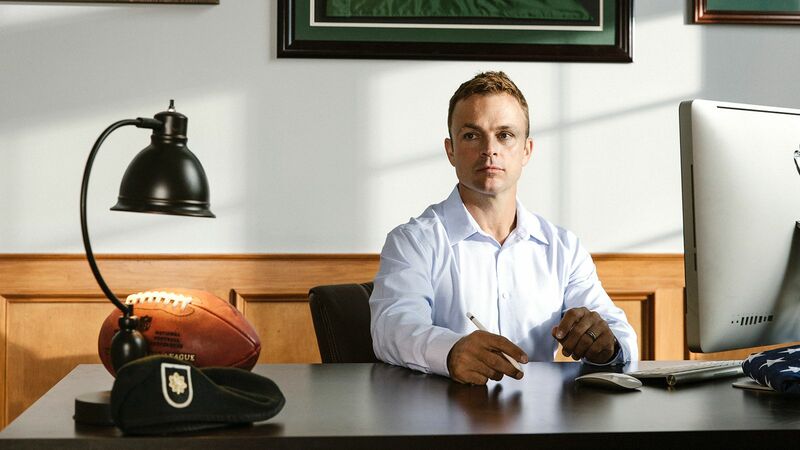 It took months for the military retirement paperwork to be finalized, but in early 2014 Decker joined the Browns, with a vague title -- player personnel strategist -- and a vital mission: Do for football what you did for the military. However, before Decker's first day, Banner, Lombardi and Chudzinski -- his entire support system -- were fired. DECKER SITS IN his home office outside Cleveland on an early summer day, surrounded by medals and mementos from war, with a stack of papers and slides that serve as a plan of attack for his enemy. In this case, the enemy is conventional wisdom. Even now, as new methodologies creep into NFL draft rooms -- analytics, sports science -- the fundamental process of evaluating players has not greatly changed. It's hard to explain why, just as it's hard to explain why many coaches claim that Rex Ryan's defensive system is by far the best in the NFL yet only a handful of teams use it. Except for the half dozen or so clubs that always adapt and thus always contend, change is slow in the NFL, especially now that scouts feel more under attack than ever. Sit at a bar at the combine and you'll hear a scout argue, "If 50 percent of marriages fail, why is anyone surprised that 50 percent of first-round draft picks fail?" When analytics staffers from various teams gather, conversation inevitably turns to what would be the mother lode metric: a measurement of the will to be great. Nobody has found an accurate assessment. Only two teams -- New England, with renowned character coach Jack Easterby, and Seattle, with psychologist Angela Duckworth, author of the best-seller "Grit" -- even try innovative approaches. But after the Browns' ritualistic housecleaning in 2014, new GM Ray Farmer was intrigued enough to put Decker in charge of some prospect interviews, 60 or so, at the combine. Most teams want the GM and coaches asking the questions. Teams always say the allotted 15 minutes isn't enough to learn about someone's entire life, so they treat interviews as lie detector tests, with blunt yes-or-no questions before moving on to the football stuff. Decker, though, tried to profile players. He asked zero football questions. He did interviews at round tables instead of square to avoid intimidating prospects, and he asked open-ended questions, many adapted from the ones he asked soldiers. He was less concerned with the existence of what scouts would call character issues - failed drug tests or arrests - than with why those issues existed. Decker's work with the Browns is proprietary, so he can't get into the data details. But in his office he demonstrated a sample interview by interviewing me. He had done his homework: He wanted to know about the impact of my parents' divorce. He wanted to know how I coped with stress. He wanted to know my professional goals. He wanted to know whether I'd ever quit a sport, and why. He wanted to know a moment in my life when I was broken, and how I responded. Decker took notes, not of my answers but of how I answered. He watched for eye contact, for rate of speech, for clarity of answers -- all tells if I happened to be lying or filibustering. If I were a draft prospect, he also would have probed to see what teaching method worked best for me and tested my ability to adjust on the fly and solve problems. The goal is to work up a behavioral analysis that is not only deep but predictive. On draft boards, most teams mark a guy as a character risk with a simple symbol, such as a picture of Bill Clinton. Decker distilled his information into a character-risk chart, based on injury-risk charts, so it was easy for coaches to understand: A 1-2 score was a low character risk; 5 was high. Decker's ideal football player, like his ideal soldier, would have at least average cognitive ability, high self-awareness and a demonstrated ability to handle high-pressure situations and adversity. Think Tom Brady at Michigan or Russell Wilson at NC State. Before they were great, they were in crisis. "He leaned on the pieces that he knew generated real results," Farmer says. "The things that he got the military to use were so much more scientific than what the league was doing." Quarterbacks, and the mysterious components that allow a few to thrive and most to fail, always fascinated Decker. He began work on a seven-page character and intelligence model. He tried to find data that indicated what kind of learning curve a college quarterback would have in the pros, based on his relevant experience: whether he had been in a pro system, calling plays, reading defenses, making adjustments. He combined that with information on the quarterback's ability to react quickly and personal characteristics, such as practice habits and mental toughness, stuff that was straight out of Special Forces training. The model combined all the results to answer two questions about quarterbacks: What have you been exposed to, and how smart are you? For instance, Marcus Mariota and Jimmy Garoppolo had high levels of fluid intelligence but lower levels of relevant experience in a pro-style offense, so they were projected to have a low floor and high ceiling. Guys like Teddy Bridgewater and Derek Carr were rated as having high floors and low ceilings -- players who could contribute immediately. Only rare prospects with exceptional fluid intelligence and experience -- Andrew Luck, for instance -- were given the highest mark. "It was a completely fresh approach," Lombardi says. The problem was that Decker was nowhere close to collecting enough data to truly test his model. In Special Forces, he controlled most of the operation, from talent acquisition to teaching programs. He was Belichick or Pete Carroll, the ultimate authority. In Cleveland, he provided information that Farmer would consider. He wasn't in the war room on draft day. The coaching and personnel staffs weren't always working in concert. He could only watch to see how players who scored poorly on his methods would do on other teams. His data showed that Clemson wide receiver Martavis Bryant, for instance, was likely to fail an NFL drug test, and he did. Decker felt he was just scratching the surface of his methods. And then Farmer and others were fired in January. Shortly after, so was Decker, as collateral damage. It had been hard enough for Decker to sell his core beliefs inside the building. Now he had to start over. THE BROWNS' SEMIANNUAL management purge has many casualties, but the main ones are ideas. The team never seems to stick with any particular ideology long enough to know whether it will work, so it's impossible to judge the merits of anything. It's all deemed a cosmic failure. And so Decker carried that baggage, in addition to the baggage of a new approach, when he visited Foxborough after his long meeting with Belichick at the combine. The way the Patriots often interview is to rapidly and coldly fire darts that test a candidate's logic and resolve. Decker was nervous, so he did what he always does: He overprepared. He reread his most influential books, Duckworth's "Grit" and Hendrie Weisinger's "Performing Under Pressure." "It was a classic pressure situation," he says. "It was important to me, it was on my shoulders, and the outcome was largely based on my actions. And I f---ed up." The coaches asked: If your quarterback diagram worked so well -- and it basically said that Brady is the ideal quarterback, which we already knew -- why did the Browns pick Johnny Manziel? Decker didn't have a good answer -- he can't criticize the Browns, per the terms of his contract -- other than to say that it wasn't his job to pick players and that the warning signs were there. The coaches asked: If you believe so passionately about your process, where is the empirical data? Decker's sample size -- two years' worth of prospects that he analyzed for the Browns, few of whom even ended up being picked and even fewer of whom ended up contributing -- was so small as to be insignificant. Most of his work was a hypothesis based on books and his military experience, and although initial returns seemed right, he needed more time. They talked a lot about Garoppolo, the Patriots' second-round pick in 2014 who was now being groomed to start the first four games. Decker reiterated that Garoppolo was the smartest quarterback he'd ever interviewed but that he was concerned the system he ran at Eastern Illinois was too simple and that to reach his potential he would need a lot of NFL reps. The Patriots felt Decker was confirming what they already knew. Then he turned to the issue Belichick had raised: finding players who would buy in. Decker talked about how the Special Forces persuaded candidates to think in terms of a unit, in part by creating leaderless teams in training so every soldier will lead. But even that comparison fell flat. After all, in the military, soldiers sign over their lives and will die for one another. There's an all-encompassing sense of duty and pride and, yes, love. NFL players are the opposite. They say they love one another, but every NFL coach, and executive, and player, knows they don't. They can't. The game is too ruthless, too cutthroat, with too much money on the line. But the biggest problem with Decker's sales pitch was that the Patriots had already more or less bought in. Three years ago, they hired Easterby to interview prospects and implement his own version of character assessment. Lombardi, one of Belichick's best friends, says the coach "really liked Decker." But Decker has been in limbo ever since, having lost his job with a bad team and lost out on a gig with a great one. He has few connections around the league, and his biggest champions -- Banner, Farmer and Lombardi, who left the Patriots this summer -- are out of football now. Banner recently pitched Decker to a head coach. He could tell the coach was sold, but he said the GM would never welcome another voice in the draft room. "It's going to take a team with a fresh approach," Lombardi says. "It's a challenge for Brian." It's enough of a challenge to test Decker's convictions about the intrinsic link between the military and football. He and his wife, Karen, are discussing it over lunch on an early-summer afternoon in their backyard. How coaches and officers are similar personalities, obsessed with strategic minutiae. How football facilities can resemble bunkers that no one ever leaves. How football wives often feel like military wives, left alone to raise the kids. Then Karen breaks out a plastic box that contains some old letters from Decker's service days. Please send Doritos, cheese dip, 3-4 zone bars and peanut butter cookies. ... Send six pairs of thick socks ASAP. ... I have 16 days and a wakeup until I can see you again. He used code words to describe when he was going out on missions, to get around security rules: "Going fishing tomorrow," he'd write. "I haven't looked at these in ages," Karen says. Decker's mind wanders, as it often does. He likes watching video of miked-up players to see how they rally their teams, how they push teammates in difficult situations. He remembers a time toward the end of his first tour in Iraq when he faced a problem: Some of his team was reluctant to wander outside "the wire" -- the walls of the compound -- unless they were under orders to fight. Nobody wants to lose a soldier, especially right before he goes home. Decker noticed fear creeping in, as contagious as pinkeye. He collected them. "Listen, man, we've got f---ing 10 days left, and we're going outside the wire every day," he said. The team did, and nobody got hurt, and they all went home with an unbreakable bond. It's Decker's vision for an NFL team, even if right now it's his alone. Seth WickershamWickersham is a senior writer for ESPN. You can reach him at Seth.Wickersham@espn.com.